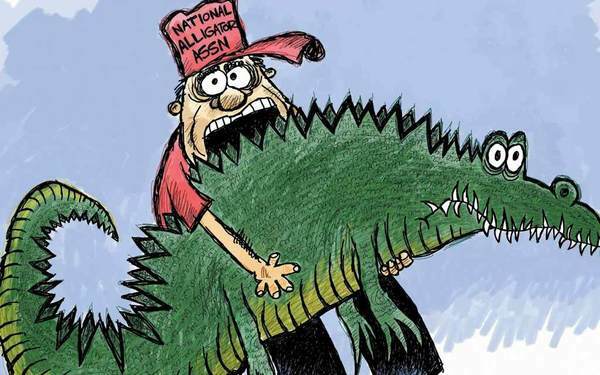 Clay Jones, who was formerly represented by Creators Syndicate, is now self-syndicating his cartoons nationally. He was previously on staff with the Free Lance-Star in Fredericksburg, Va., and the Star-Advertiser in Honolulu. Clay is an independent who points out the absurdity in the absurd in political and social issues. He believes humor is as much a tool as pen and ink to get his point across. He's been making readers laugh and become infuriated since 1990.